OH I DO LOVE NANCY DREW! I used to hide my latest ND book either behind my classroom book or in my desk so I could sneak a peek during the teacher lecture!! THEN...I would come home read some more and hide under the covers with a flashlight after bedtime came and went. Did I say I LOVE NANCY DREW?? 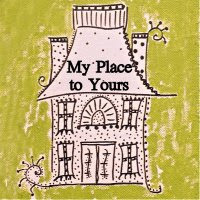 Here is my latest Blog Hop Group and Project. Can you believe there is Nancy Drew Fabric?? Check out all the creative projects made with the new line of Nancy Drew Fabric by MODA. 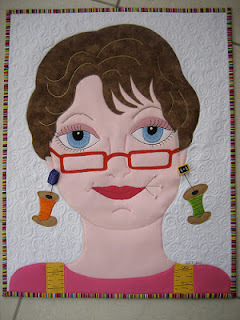 Our Cheerleader for this blog Hop is Carol at Just Let Me Quilt. You can find the entire schedule on her blog. Psst...I turned 60 TODAY, March 6th!! I've always proudly shared my age...not one of these women who hides her age. I've earned every wrinkle and just Proud to be ALIVE!! Happy Birthday to you! I'm a few months older, paving the way for you young folks! Happy Birthday, hope you are having a great day! Happy Birthday, can't wait to see what you create. HAPPY BIRTHDAY! You are a Spring chicken compared to me. I will be 65 in a couple of months.But it doesn't bother me that I am. I am thankful that I am able to get up and about. I enjoy doing all the things that I can do (except clean house) Hope you have a fun and exciting day! Happy Birthday! You're still younger than me! ♫ ♪ Happy Birthday ♪ ♫ Hers to wishing you a wonderful day, and many more birthday celebrations. Happy Birthday to you, Happy Birthday to you! I don't have a problem stating my age either, I turned 55 this past December. It just brings me closer to retirement and more time to sew! I have been collecting the Nancy Drew books for my Granddaughters, but it is just an excuse to read them again. Do not think I actually read all of them when I was a girl. I am going to check out everyone's project and hope to be back on your day! Hope you have a very Happy Birthday and an amazing year to come. Happy Birthday! I hope your birthday is the beginning of a wonderful year!